Easily the best Avengers entry and one of the best superhero films out there. To say I was hyped for Avengers: Infinity War when it came to theaters is a severe understatement, as this was the film all of the Marvel Cinematic Universe was building to. Just as expected, I loved every minute of it, even after seeing it multiple times. Now it’s finally home to be enjoyed an infinite amount of times with family and friends, as it’s one of the best superhero films out there. Of course I wasn’t the only one to get their superhero kicks from this movie, as our own Annette Palmer came out feeling super after seeing it during its theatrical run. Be sure to check out her review for the plot details and her take on the film while I give mine here along with going over the special features. Ever since the Russo brothers did Captain America: The Winter Soldier, I knew they would go off to do great things, and they sure did with the follow up Civil War and now this film. It’s like they were born to make great action movies as everything just comes together in an awesome way here as it did in their other movies. 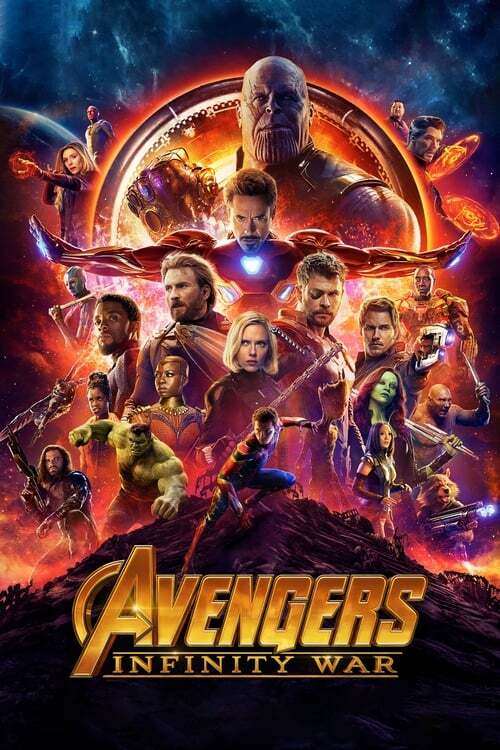 I’m also glad to say that despite so many superheroes fighting to take center stage here, the Russo brothers manage to keep things in check as everyone gets ample screen time and contributes to making the film that much better with their superpowers, humor, and heart. While there’s the always perfect 4K HDR version available, the Blu-ray edition is no slouch either as the visuals and audio come in nice and clear. I always get a kick out of action movies booming through my home theater and this one is no exception as I was constantly bombarded by bass-filled explosions, impacts, and more. There’s also some cool special features to sort through after the dust settles from the war, starting with audio commentary by directors Joe and Anthony Russo along with writers Christopher Markus and Stephen McFeely in tow. Here they talk about the huge production of the movie and all of the things that went into making it come to life and a lot more. Then we have some nice featurettes that bring viewers cast and crew interviews discussing the making of the film and some of the characters, such as “The Mad Titan” that goes into how they changed and shaped Thanos for the big screen, and “Beyond The Battle: Titan” and “Beyond The Battle: Wakanda” that goes behind the scenes of the epic battles that take place on those two fronts, and also “Strange Alchemy” that dives into bringing all of these superheroes together and how they play off each other perfectly. Lastly there’s my favorite extras, some deleted scenes and a gag reel, both which are a cool treat to cap off the extras. It was nice seeing Jon Favreau return as Happy Hogan in one deleted scene while the others are pretty cool as well. As far as the gag reel goes, it was pretty hilarious watching the cast have fun with flubs and mistakes and turning them into something funny. If you’re looking for some major superhero action, you’ll want to suit up and head out to grab a copy of Avengers: Infinity War. Right up there with Black Panther, it’s hands down one of the best superhero films you’ll see, and is certain to be a gem (of the infinity kind) you’ll want to add to your collection.